“Who is the greatest?” is a burning question in men’s minds. We want to know who’s the greatest. Whatever the profession, endeavor, or skill, there are folks vying for the top spot. 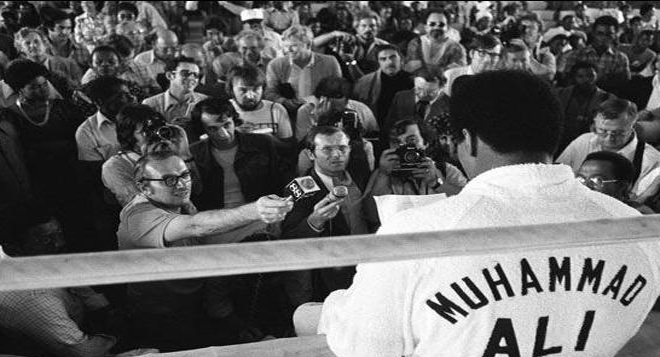 People once immortalized for feats and accomplishments, like Tom Courtney, Neil Armstrong, George Washington, Clara Barton, Florence Nightingale, or Muhammad Ali, fuel future competitors to meet and exceed their successes. The disciples wanted Jesus to tell them, “Who then is greatest in the kingdom of heaven?” (Matt. 18:1). On a journey to Capernaum, they argued among themselves about who was the greatest (Mk. 9:34). Here were twelve men who were selected by Christ to have a part in the greatest work on earth. That was honor and purpose enough, but they wanted more. If that was good, being the best of the best was better. Such thinking was way off base, which Jesus repeatedly demonstrated through His humility, sacrifice, and service for the good of others. Today, we wrestle with the same affliction. Whether in our daily lives or even within our function in the church, we can get caught up in being recognized as the best. This is a destructive exercise and misses the point. If we are Christians, we are among God’s chosen on this earth. What a privilege! We have the highest, most important business to do. Let us do our best and work our hardest, but let us never get caught in the trap of showing others that we are the best. The very attempts disqualify us. Next postBRENDAN EICH: A GLIMPSE INTO THE FUTURE?